Laila Ollapally is the founder of CAMP Arbitration and Mediation Practice Pvt. Ltd (CAMP), erstwhile ‘Centre for Advanced Mediation Practice’, a pioneering private mediation initiative set up in 2015 that seeks to promote mediation as a form of alternative dispute resolution in India. She is the Founding Coordinator of the Bangalore Mediation Centre (BMC) acclaimed as the most successful Court – Annexed Mediation program in the country. She is a Senior Mediator and Master Trainer at the BMC. She has practiced as an Advocate for over 3 decades in the Supreme Court of India and the High Court and Consumer Courts of Karnataka. Since 2014, she is a full time Mediator. Ms. Ollapally is on the Panel of Mediators of (i) CAMP (ii) Bangalore Mediation Centre (iii) Singapore International Mediation Centre (SIMC) (iv) Mediators of JIMC-Kyoto. She is on SIMC Users Council. 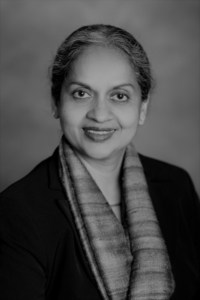 Ms. Ollapally brings into her mediations, 30 years of practical experience as a lawyer along with a spirit of empathy and personal connection with the parties and their lawyers. She explains that in her legal practice, her priority was to understand the conflict in the background of pain and frustration experienced by the litigants, identify their underlying aspirations and explore possibilities of collaboration. She attributes this to be the primary reason for her path breaking success in majority of the cases handled by her in the courts. As Founding Coordinator of the BMC, she was responsible for setting up and overseeing the effective working of the Mediation Centre. Along with Foundation for Sustainable Rule of Law Initiatives (“FSRI”), she has audited mediation programs set up by the High Courts in the States of Tamil Nadu, Kerala, Punjab and Haryana. She is nominated to ‘The International Who’s Who Legal’ of Commercial Mediation and was awarded for her International Contribution to Mediation by the University of Connecticut and FSRI, San Francisco, California (2013). She is on the advisory board of FSRI. Ms. Ollapally has been a Mediator since 2007 and has mediated several hundred cases with a very high rate of settlement. She has been appointed by the Supreme Court and High Court to co-mediate several high profile and sensitive disputes with Supreme Court Judges. Her diverse mediation experience extends across legal and commercial domains. Ms. Ollapally is herself trained in mediation from Harvard and has a rich experience as a trainer in training at the highest echelons of legal and commercial hierarchy.